Here it is, people... The eagerly awaited vinyl version of MOTHER MISERY's latest effort. 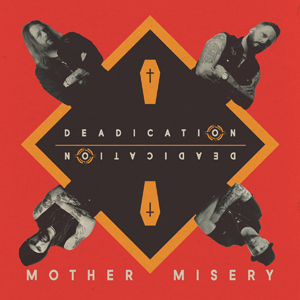 "Deadication"(including the single "Killing Me") is a stone cold 6-track addiction here to blow your mind. If you are into heavy melodic rock with that Swedish touch. A release filled with heavy riffs, catchy melodic guitar melodies and a stench of classic rock & roll. Most easily compared to bands like MUSTACH and RIVAL SONS. Probably their best release to this date ! CHECK THIS OUT !